Classic designs and quiet atmospheres make these shops a popular choice for the nostalgic. Old motorbikes in front of Café 81. 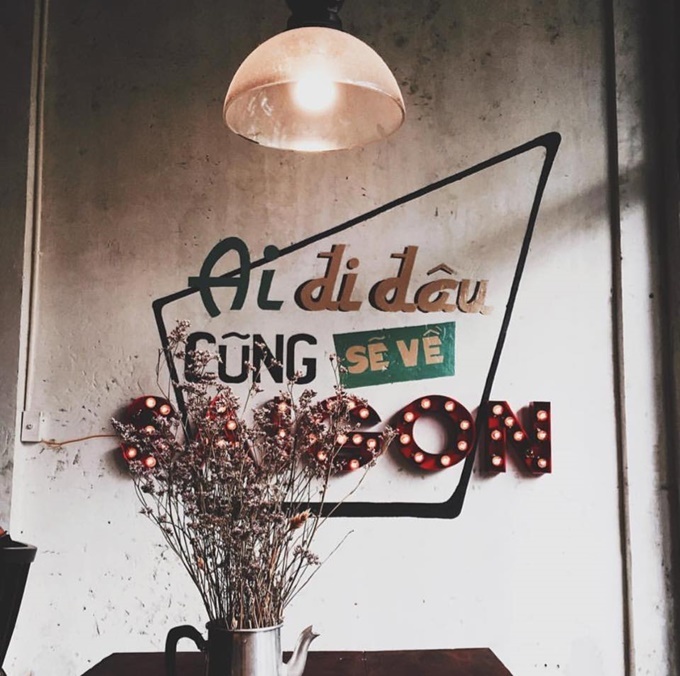 Café 81 on Nguyen Van Nguyen Street in District 1 carries the look of a Vietnamese middle house in the 1980s, making it an outcast in the hustling urban downtown. From the crumbling mortar walls to old-fashioned vacuum flasks, every part of the shop is evidence that in this special place, time has not moved on. The shop does not have a fancy menu so there’s a drinks board on the wall. Candied tamarind mix and kumquat iced tea are some of the options besides coffee. As there’s no air-con or wifi, reading a newspaper outside seems like the perfect choice at this cafe. 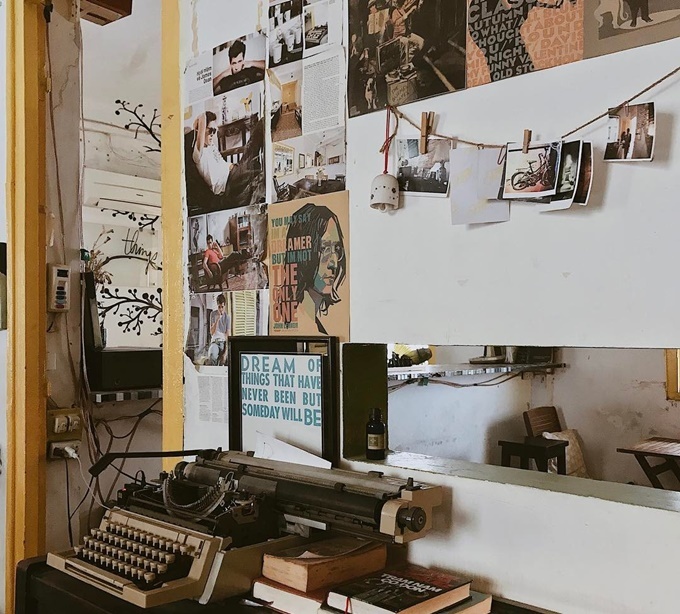 In an alley off Pham Ngu Lao Street in the city’s backpacker area, a vintage shop has adopted a quaint southern countryside name: Ut Lanh. “Ut” is the nickname given to the youngest child, usually the favorite, in southern families, while “Lanh” means “gentle”. 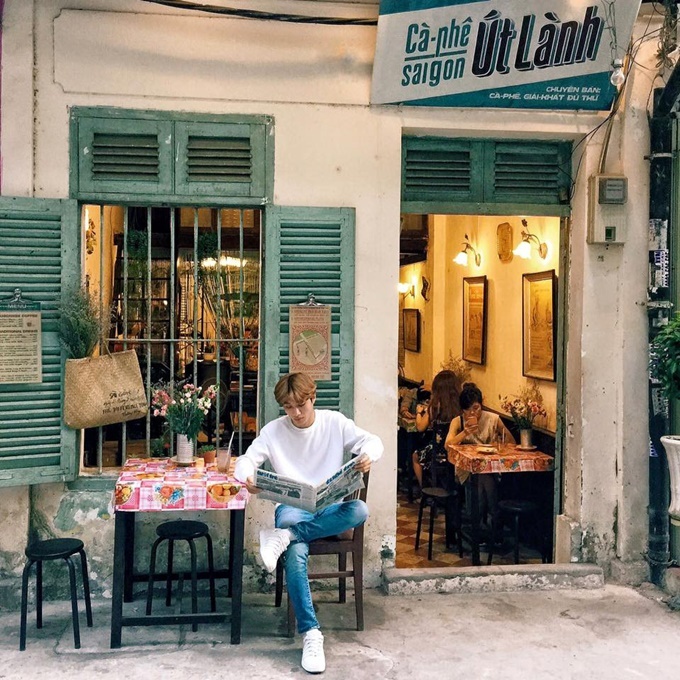 This cafe is popular among foreigners, and continues to amaze its Vietnamese patrons with childhood snacks from the eighties. There’s no air-con or wi-fi, and customers are asked to put their phones away. “Wherever people go, they come back to Saigon,” says a decoration in the shop. Den Da (Iced Black Coffee) has opened several shops in Saigon to serve an increasing number of young customers. Its shops on Ham Nghi, Pasteur and Phan Xich Long Streets are open 24 hours a day. The designs hark back to Saigon in the 1960s. Tables and chairs are a mix-n-match collection. 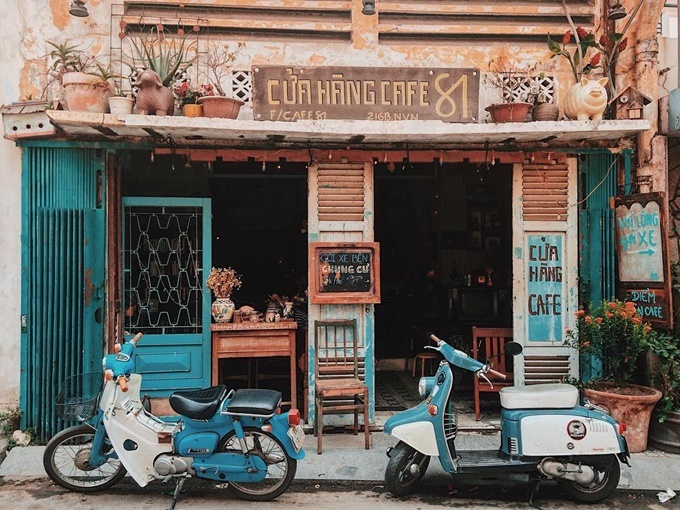 Cu (Old) Café is another quiet and cosy escape on an alley off Ly Thuong Kiet Street in Tan Binh District. The name tells you everything, although the drinks are served fresh every day. 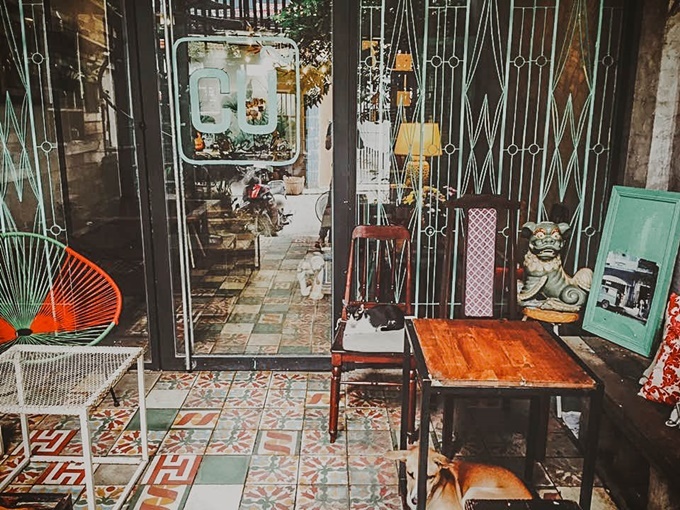 Unlike a normal coffee shop which lines up tables and chairs, customers here are free to find a place to settle in around the house or out in the front yard, bringing a homely feeling. “The best coffee in Saigon,” the shop boasts on the sign. 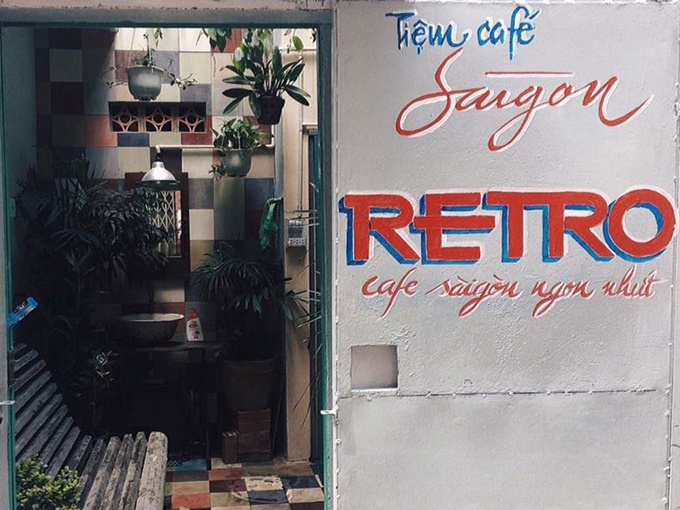 The Saigon Retro Café on Tran Quoc Toan Street also tries to revive some of sixties’ Saigon, and it works for many people thanks to the soft music coming from an old machine. The drinks menu is attractive but slightly outdated. 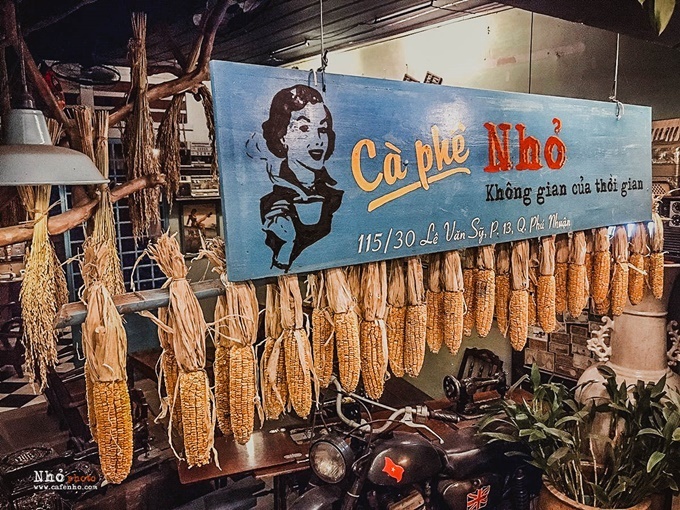 Nho Café is decorated with dried corn and rice. Nho (Small) Café down an alley off Le Van Sy Street describes itself as “The space of time”. It’s definitely a quiet space with old, simple tables and chairs, and the sound of “choo choo” trains running on the nearby north-south railway. A typewriter at Things Café. Things Café sits in an apartment building built during French colonial times on Ton That Dam Street in District 1. It is the perfect place to revisit the old days, although the small space without air-conditioning can be too hot for summer. Customers have to leave their motorbikes at a nearby parking lot for VND 10,000 ($0.44) each.